Your fitness is our top priority! 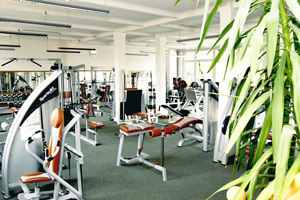 The hostel & hotel HOLI-Berlin cooperates with the gym Vital Lichtenberg. Our guests can work out for free in the Vital Lichtenberg. So you don't have to miss out on your familiar workouts during your Berlin holiday and stay fit for your tours through the capital. You can also relax in the sauna and the large rest zone.